Our nesting boxes are built in many sizes to meet the needs of birds all across North America. 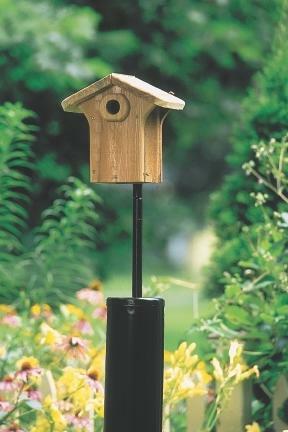 We have the first and only outdoor bird house with a two-way opening system. The side opening is designed to clean out the nest. The roof opening is designed to monitor, view and photograph the progress of the bird family. Our opening and locking mechanism is simple, quick and predator-proof. Visit our friendly staff today to find the nesting box for you!